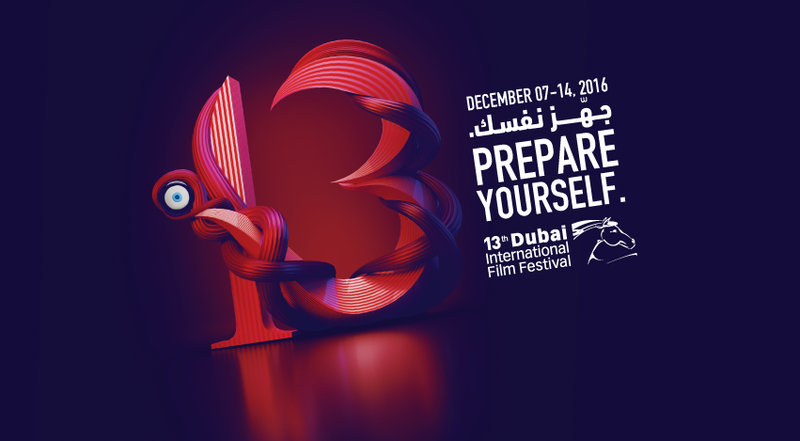 The 13th Dubai International Film Festival (DIFF), held under the patronage of His Highness Sheikh Mohammed bin Rashid Al Maktoum, UAE Vice President & Prime Minister and Ruler of Dubai, today unveiled its full line-up of 156 films from 55 countries alongside a diverse industry programme for filmmakers and executives at the Dubai Film Market (DFM), a strong competition and a rich slate of Special Presentations, Red Carpet Galas and exciting community events. The Festival, which runs December 7th – 14th, spans feature, non-fiction, short films and includes an astonishing 57 world premieres and international premieres, 73 MENA premieres, 12 Middle East premieres and 9 GCC premieres. The films, crafted in more than 44 languages, populate DIFF’s Arab and Emirati competitions, and its out-of-competition segments dedicated to children, the Arab world, Virtual Reality and cinema from around the globe. With 18 Galas and 16 Special Presentations announced, Q&As and special appearances from a stellar lineup of industry talent and the spotlight firmly on Oscar hopefuls as well as promising Arab talent, the stage is set for another sparkling eight-day celebration of the very best in cinema. Continuing to provide a platform for talent from the region, once again this year a high calibre of contemporary Arab films will compete in the Muhr Competition and the impressive slate is testament to the vibrant creativity of Arab independent filmmaking. The DIFF 2016 selection also showcases an incredible line-up of contemporary Arab cinema, with 62 biopics, comedies, dramas and love stories from the Arabian Peninsula, Levant and North Africa. This year, DIFF’s Opening Night Gala on Wednesday, 7th December presents the international premiere of John Madden’s tense and topical political thriller, ‘Miss Sloane’ the story of a ruthless lobbyist starring Jessica Chastain who is notorious for her unparalleled talent and her desire to win at all costs, even when it puts her own career at risk. The thriller pulls back the curtain on how Capitol Hill games are played and won as Sloane faces off against the most influential powers in D.C. Closing the curtain on what promises to be another spectacular Festival, DIFF’s Closing Night Gala will be one of the most anticipated releases of the year, ‘Rogue One: A Star Wars Story’. From Lucasfilm comes the first of the Star Wars standalone films, “Rogue One: A Star Wars Story,” an all-new epic adventure. In a time of conflict, a group of unlikely heroes band together on a mission to steal the plans to the Death Star, the Empire’s ultimate weapon of destruction. This key event in the Star Wars timeline brings together ordinary people who choose to do extraordinary things, and in doing so, become part of something greater than themselves. Abdulhamid Juma, Chairman of DIFF, said: “What amazes me every year about the Festival is its ability to both inspire the community and film lovers from around the world, as well as have a tangible impact on the region’s film industry and that is evident as we unveil another diverse programme for 2016. We are incredibly proud to be able to say that DIFF makes a valuable and real contribution to Arab cinema, whether that is by bringing local talent together with international industry representatives, support through the Dubai Film Market, or giving hands-on experiences to the next generation of filmmakers. At its opening ceremony, DIFF will present three prestigious Lifetime Achievement Awards, recognising those individuals’ incredible contributions to cinema. The award will be presented to the American film icon Samuel L. Jackson, long-celebrated as one of cinema’s most talented and intuitive actors. With over four decades in the industry and featuring in more than 100 films, Jackson has crafted a diverse and successful career in Hollywood and beyond and earned multiple awards and accolades for his efforts. Also being recognized for their work is legendary Rekha, recognized as one of the greatest actresses in Hindi cinema with a wide-ranging and exciting career spanning 40 years and 180 films. The third award will also be presented to Oscar, BAFTA, Golden Globe and Grammy award-winning French Lebanese composer Gabriel Yared, an internationally acclaimed composer whose impressive filmography spans three decades.